Join us at our annual fundraiser, Fostering Joy! We’ve moved our biggest event of the year to May in honor of National Foster Care month. The evening will be a warm and fun night, including dinner, live entertainment and silent and live auctions. 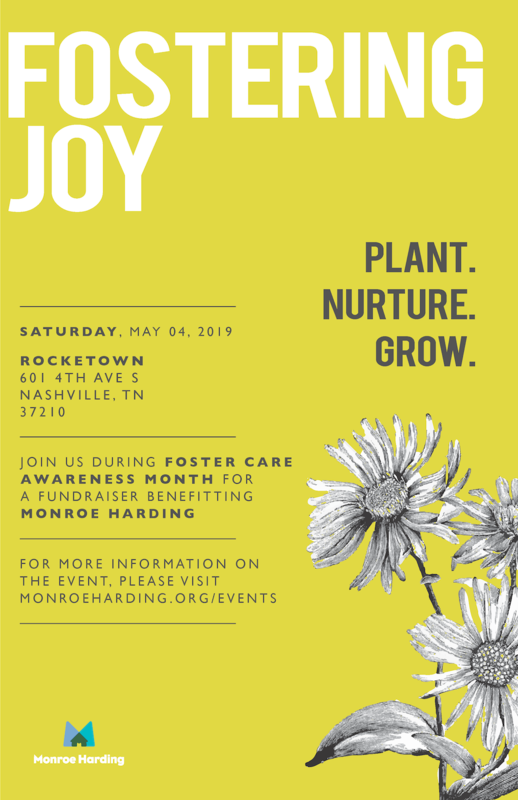 All to benefit Monroe Harding’s programs for children and young adults in foster care. Doors will open at Rocketown at 5:00. Tickets are $125 and tables are available for purchase. This year, we’ve added an “after party ticket” to keep the party going!